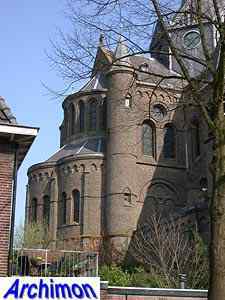 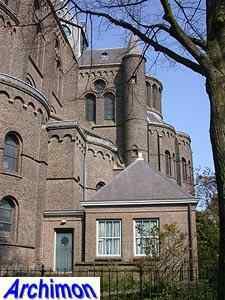 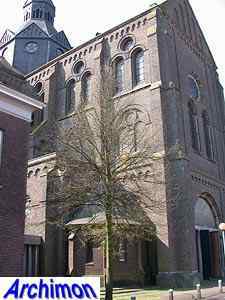 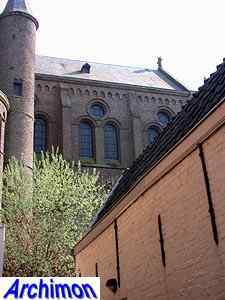 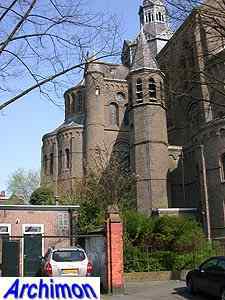 When in 1825 the old church of St. Pieter was returned to the catholics of Vught, it was little more than a ruin. 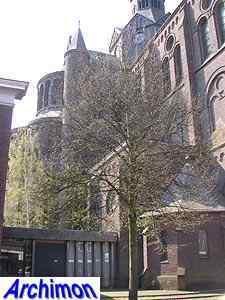 It was quickly demolished and replaced by a new church. 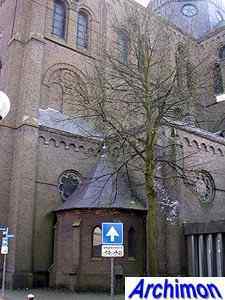 The new church was a temporary measure only, as in the 1880's it was already replaced. 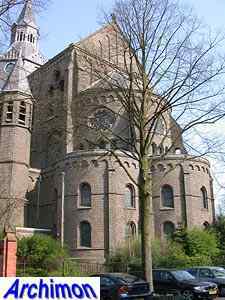 Architect Carl Weber, who until then had mostly designed neo-Gothic churches, started a new period in his career with this church. 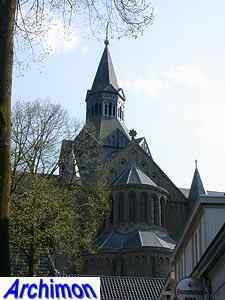 It was the first in a series of neo-Romanogothic churches, graced with a dome on the crossing. 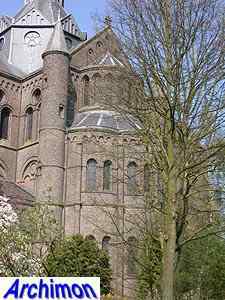 This is a three-aisled cruciform basilican church with an octagonal crossing-tower and a cloverleaf-shaped eastern part. 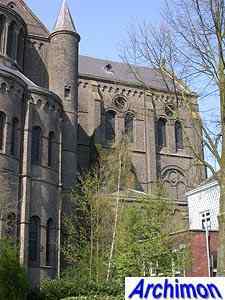 Choir and transept-arms have apses with ambulatories, the transepts are flanked by stair-turrets. 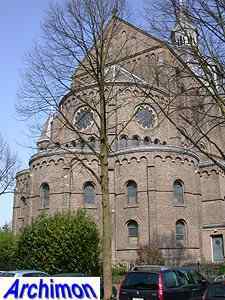 The crossing-tower, which already shows similarities with the domes on Weber's later churches, was intended to be built in brick but was constructed out of wood and lead instead. 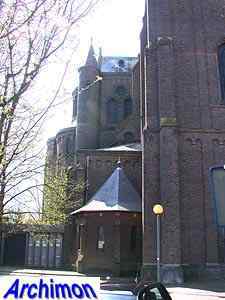 The construction of this church was hindered by many problems. 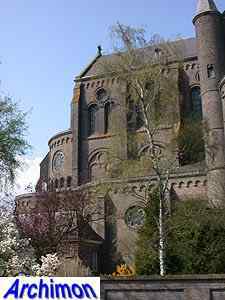 The biggest disaster happened on December the 5th 1882, when the northern transept collapsed, killing ten workers. 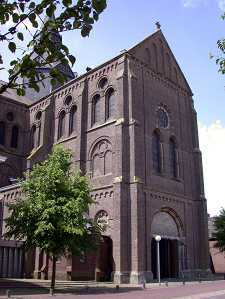 In 2005 the church was closed for safety reasons. 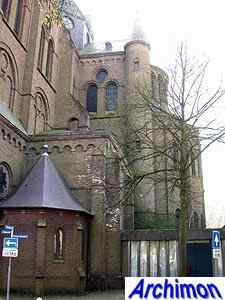 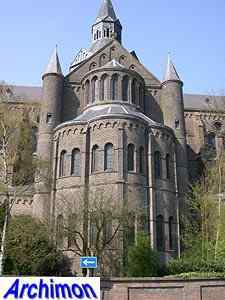 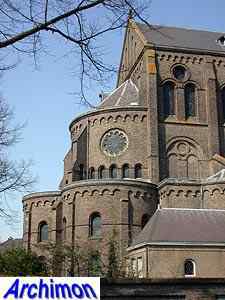 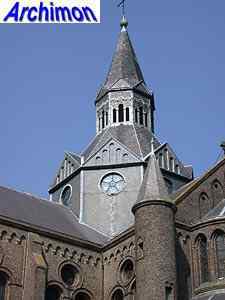 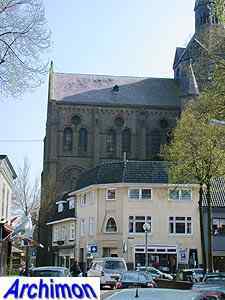 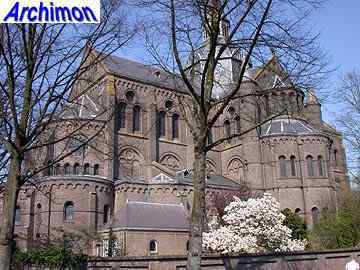 Although the 's-Hertogenbosch diocese tried to get the church demolished for financial reasons, eventually it agreed to cooperate in giving the church a new, cultural function.